Looking for the perfect date night? Want exclusive museum access? Exclusively for adults 21+, this evening offers you open access, unlimited shows, and unique entertainment every third Thursday of the month from 6:00–10:00 pm (6:30–10:30 pm May-August events). With themes that change every month, Adler After Dark is never the same event twice. Reinvent your Adler experience every month with friends, family, or that special someone on a date they’ll never forget! The best view of the skyline from anywhere in Chicago! Please note that ticketed tours of the Doane Observatory can be added to your General Admission ticket for $8.00 a piece. Cocktails and other alcoholic beverages are available for purchase at the event bars. Entrée items and snacks are available for purchase at Café Galileo’s. 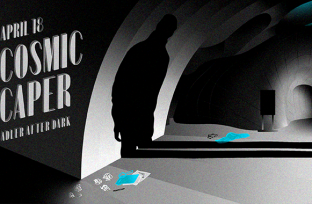 The votes are in and the hands-down winner is Adler After Dark. What are you waiting for? Book your tickets today! Need some Adler After Dark costume inspiration? Check out some of our photo albums of past AAD attendees! If you’re planning on attending in costume, please see our Cosplay & Costuming Weapons Policy. Doane Observatory tour tickets are available in limited quantity and sell out quickly. Tours last approximately 15 minutes and are always scheduled after sunset. Tours are subject to cancellation due to weather conditions. Please note: Observatory programs may be altered or canceled due to weather without advance notice; if clouds or other conditions do not permit viewing through the telescope, an alternate program in the Observatory will be substituted, at the discretion of Observatory staff. Please be aware that event capacity is limited and likely to sell out. Purchase your tickets online before the day of the event as tickets may not be available at the door. Check back for up-to-date ticket availability details. 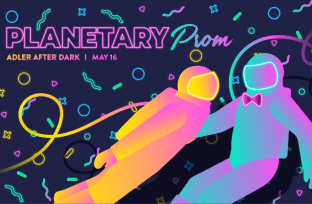 For group (15 or more) or corporate booking, please contact groups@adlerplanetarium.org. Please bring your photo ID on the day of the event. Adults 21+ // Tickets on Sale Now! Adults 21+ // Tickets on Sale April 19!